The Netflix revival of One Day at a Time was an incredible sitcom that tackled tons of tough issues with humor and grace. Millions of fans were upset to hear that it would not be renewed for a fourth season; there was so much left for the Alverez family to experience. Fortunately, the door isn’t completely closed—the show is being shopped around for a network to pick up. Until that day, One Day at a Time is functionally dead. But we can still enjoy the lessons and humor that it brought to our lives. So in-between re-watches, here are some books with similar themes you can pick up. At the end of season two, Lydia ends up in the hospital. As a nurse by trade, Penelope finds herself overstepping her role as daughter. This puts her at odds with Nurse Wally. This is very similar to the situation that Marnie finds herself in in Bedside Manners.When Marnie’s mother Joyce is diagnosed with breast cancer, Marnie struggles to strike a balance between her identities as doctor and supportive daughter. One of the very first things we learn about Penelope was that she was a nurse in the army stationed in Afghanistan. However, the show doesn’t talk much about her experience there, aside from how she sustained her injury, how the men treated her, and her mental health coming out of it. A memoir from an army doctor stationed in Afghanistan could help us understand better where she’s coming from. For Penelope, keeping calm at work can be tough. Aside from the patients, she has to deal with Dr. Berkowitz’s perpetually sad demeanor, Lori’s complete incompetence, and worst of all, Scott’s constant microaggressions. While she preaches bottling anger in the face of all this, she explodes on them one day at work. A book like Quiet the Rage may have helped her cope with that anger in a more productive way. With the cult-like following in the LGBTQ+ community, you know there’s got to be at least one book with a lesbian protagonist on this list. Like Elena, Fiora spends a lot of time with a man she thinks that she should fall for; an “ideal guy” of sorts. However, they both eventually come to terms with the fact that they’re attracted to women. Bonus: the magical realism in The Infinite Now would delight a Comic-Con geek like Elena. While Schneider may not be biologically an Alverez, they definitely adopt him into the family. He’s a recovering alcoholic and drug addict, and in season three had a short relapse after eight years of sobriety. He spent his younger years a lot like Zelda and Spencer in The Opposite of Never, in and out of rehab. Being a parent with a mental illness is tough—especially as a single parent. 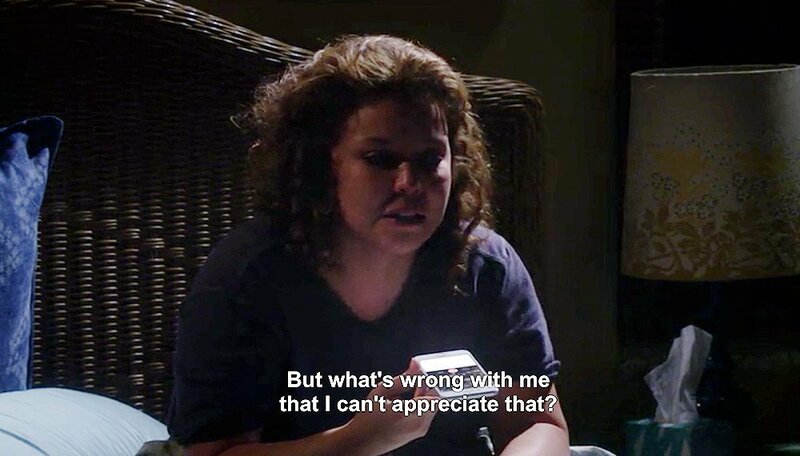 Penelope is functionally raising Elena and Alex without Victor, while also battling anxiety and depression. With the proper help, it’s manageable, but without it, it can be debilitating. Parents dealing with their mental illnesses to come through for their kids isn’t seen often in the media. In The Rules of Half, Will is bipolar, but when his daughter finds him, he’s got to learn to manage it to come through for her. Elena constantly has a crusade. She has tons of issues she cares about—representation, diversity, feminism, immigration, and so much more. During the first season, many of her crusades were about saving the environment. Whether she was trying to get her classmates to compost or her family to reduce their carbon footprint, she was desperate to go green and do her part. She would aspire to be like the protagonists of these two novels who go above and beyond on their respective crusades.